12/31/18 A Rock n' Roll Tribute from Elvis to The Beatles featuring The Neverly Brothers. 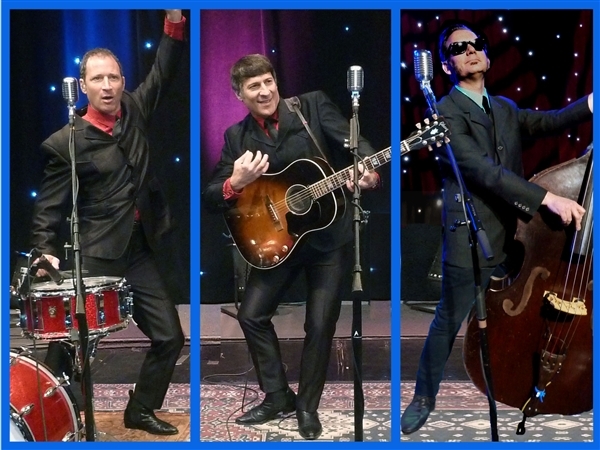 The Neverly Brothers’ concerts are a tribute to one of the most exciting chapters in music history: the birth, near death and resurrection of rock n’ roll. With their one-of-a-kind, high-energy stage performance, you’ll be led on a guided tour of rock history - complete with vintage wardrobe changes and stories behind their chronological song sequence - as they perform hits by Elvis Presley, Jerry Lee Lewis, Chuck Berry, Buddy Holly, The Beatles, Rolling Stones and many more. Fasten your seat belts for an exciting Magical History Tour!